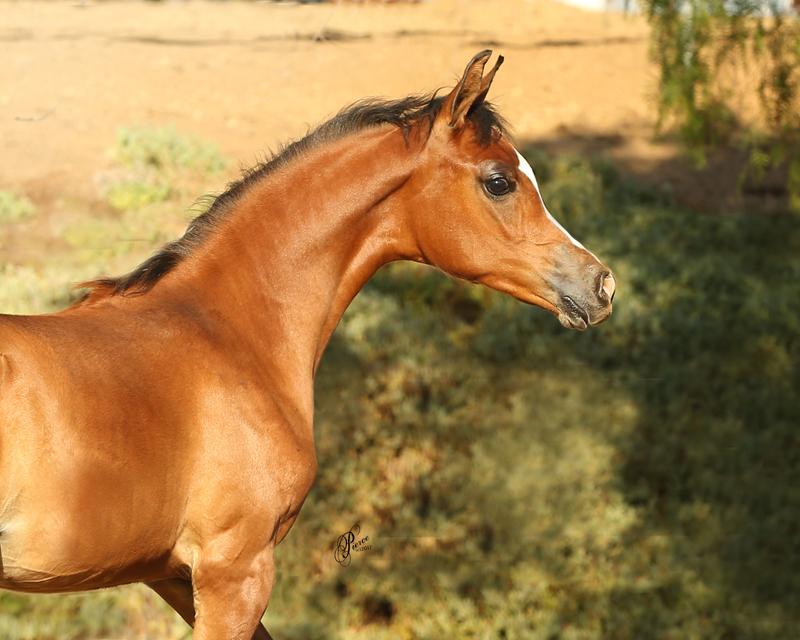 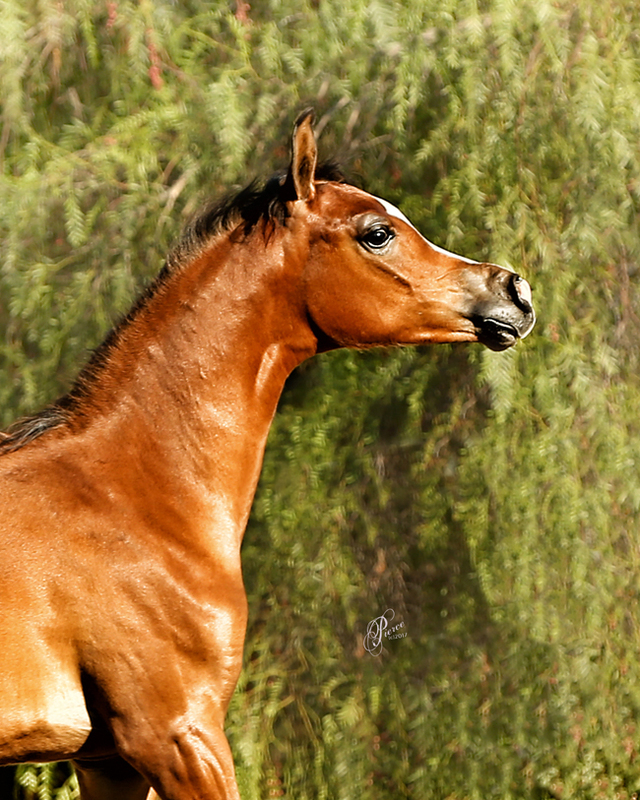 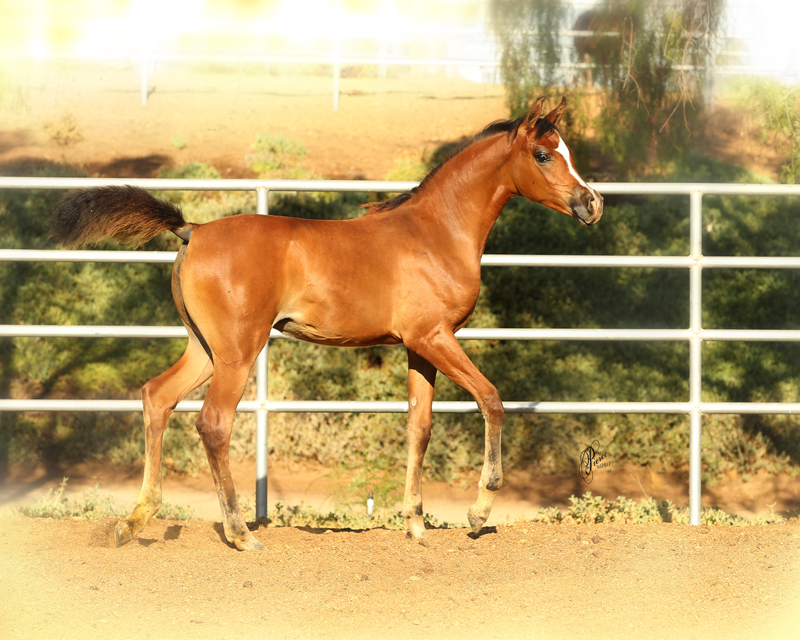 This beautiful filly is sired by Alkeynos EA. 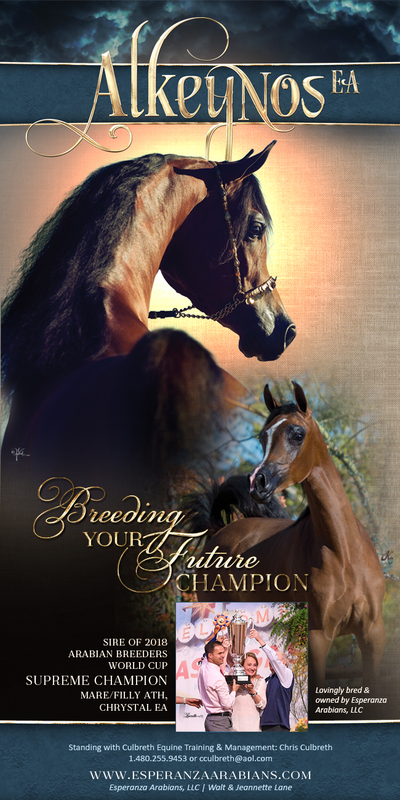 Alkeynos has one of the most exceptional pedigrees for breeding stallions on the market today. 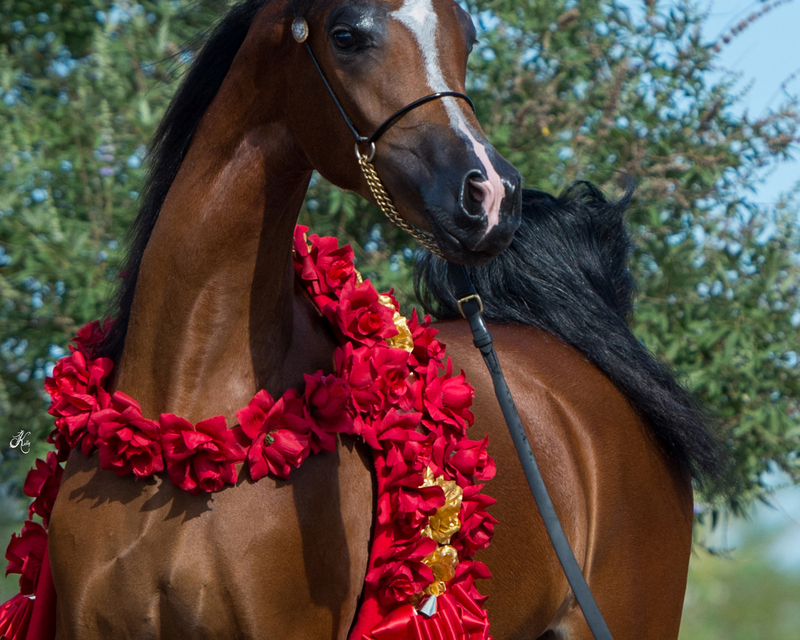 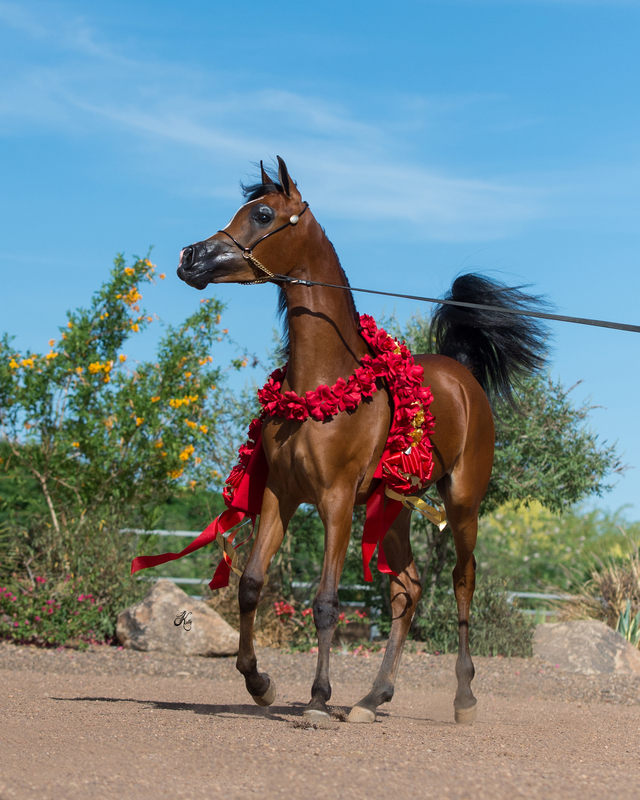 His sire ABHA Qatar is one of the most correct Arabian stallions ever bred and carries the genotype to support his phenotype. 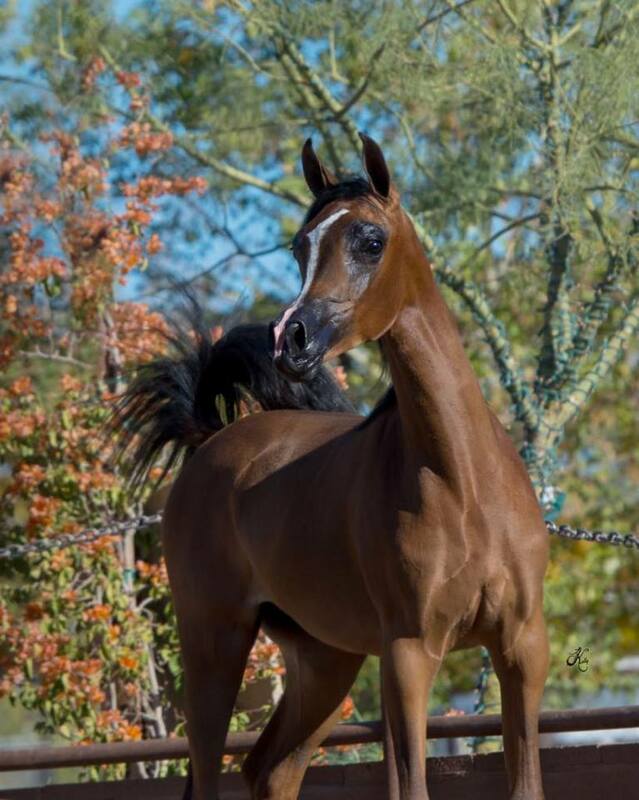 Now add the extreme beauty that is found in Chrystal’s dam, BST Lily May! 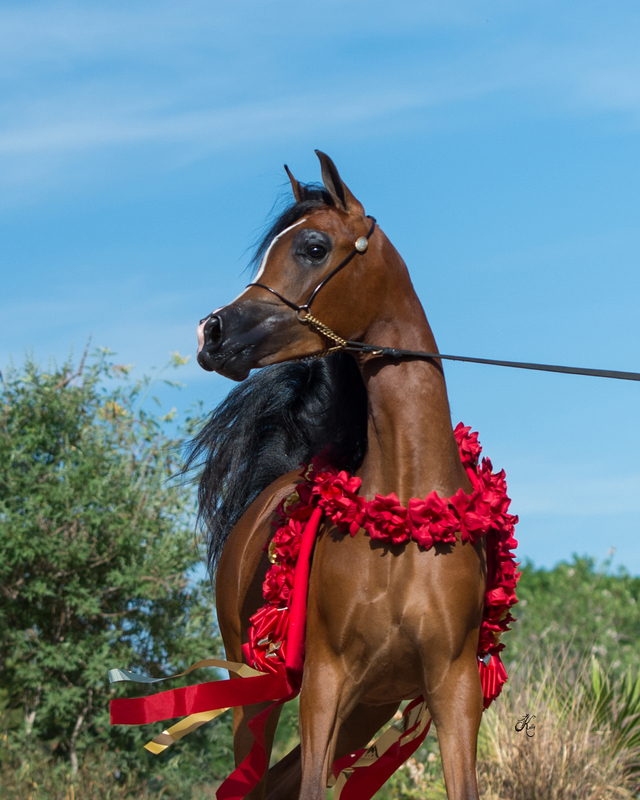 Chrystal’s long neck, gorgeous head, elegant long legs and charisma are no accident. 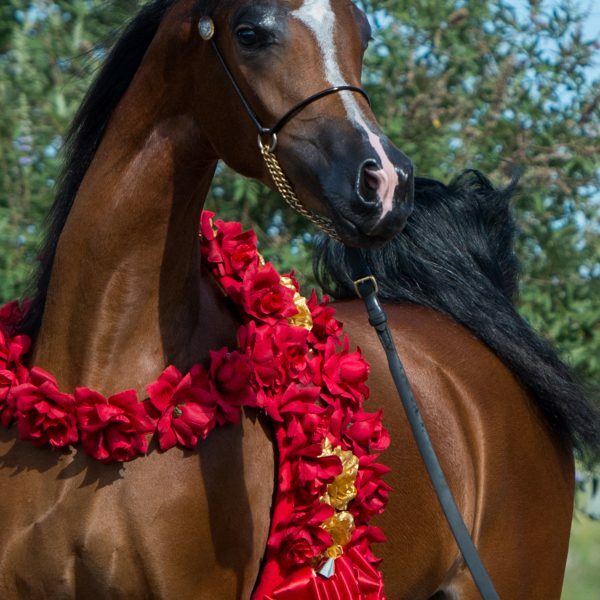 She is exactly what one would expect from this outstanding pedigree.